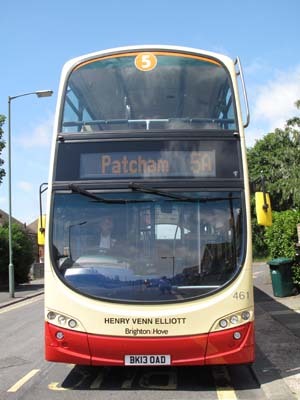 Connections with Brighton and Hove : A Church of England clergyman, Henry Venn Elliott founded St Mary’s Hall school in Kemp Town, Brighton, in 1836. Born in 1792, Elliott was from a rich and religious family. His father, Charles, retired to Brighton from London and built the proprietary chapel of St Mary’s, consecrated in 1827. 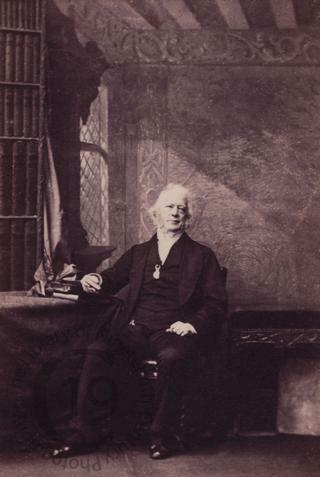 Elliott was appointed preacher, inheriting the chapel on his father’s death in 1832 and remaining there as minister until his own death in 1865. He married Julia Marshall in 1833 and they had five children but she died from scarlet fever in 1841 and he never remarried. Elliott was a well-known preacher in Brighton and had a wealthy congregation. Concerned about poverty, he opened St Mary’s Hall as a school for the daughters of poor clergy. He provided most of the money and always took a close interest in its management. He also helped establish the nearby church of St Mark’s in 1849. Elliott gave generously to many causes, often anonymously, and was involved in many evangelical organisations, notably the Church Missionary Society. He published sermons, psalms and hymns which were well read. He died at his home in Brunswick Square, Hove aged 73. 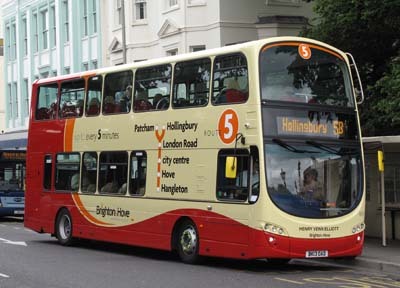 461 Volvo Gemini - carried name since delivery in June 2013 on Route 5.